Give me ALL the velvet! And it's a wrap style dress which is so flattering - AND the prettiest navy ever! I'm loving it with gold, and these earrings and pendant necklace look SO real - you'd never guess otherwise! I bought the earrings during the NSale and I've worn them all summer long - they're great for every day or to dress up. Oh how in love I am with this dress/color palette!! It'll be so easy to dress this up or down too. And I've never been a huge fan of yellow, but these chartreuse/mustard shades are starting to grow on me, anyone else?! But this bag... HOW beautiful?! It's velvet and there's a smaller version with the bow in fuschia if you aren't on the golden yellow train yet! The bow sold it for me and the velvet was icing on the cake! The color given to this dress is actually called "fall green" - all. the. heart. eyes! It's a perfect wedding guest dress; there's a couple of other colors also and the shades of cream and taupe with this teal shade match perfectly for the fall. The only thing prettier than burgundy and lace is burgundy lace! The two gemstone rings (here and the band here) are actually birthstone rings, but they're so pretty and I think they look great with all of the gold detailing! For any fall weddings this year, I'm pretty sure velvet will be involved! I used to love velvet when I was younger (anyone else?!) so now that it's so back in style I want to wear it all! 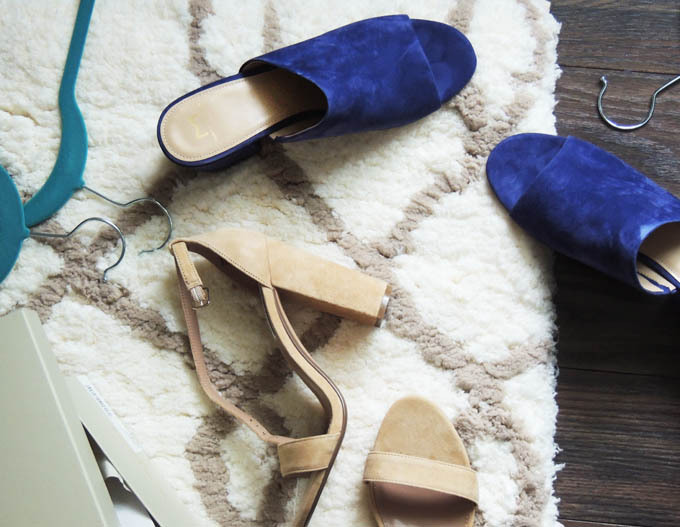 These beautiful heels come in the prettiest shade of burgundy also, and they're pricier but so beautiful and a great investment piece. Some stunning outfit ideas! I love fall weddings/events as well - so true, you don't have to worry about sweating your makeup off! Haha. This is getting me so excited for fall. I love all the fall colors and trends, and I can't wait to take some of these ideas and translate them to my own for my fall events! I love the big flowy dresses - they are my favorite! I love dark reds and greens for fall/early winter weddings. They're such beautiful colors for a formal event! LOVE all of these pretty ideas! This was actually super helpful as I am going to my first wedding as an adult in a couple of weeks! Great tips. Love all the velvet pieces! Fall weddings are so hard to find pieces for. Ok, I love all of these ideas! First look is my fave!!! I am ABSOLUTELY loving the velvet trends these days! I have a few pair of shoes, but haven't found a fabulous dress yet. For me, these would be perfect for some holiday gatherings as I haven't been invited to a September wedding just yet. Love how you incorporated velvet, such a beautiful fabric to wear to a wedding! Those are great picks! 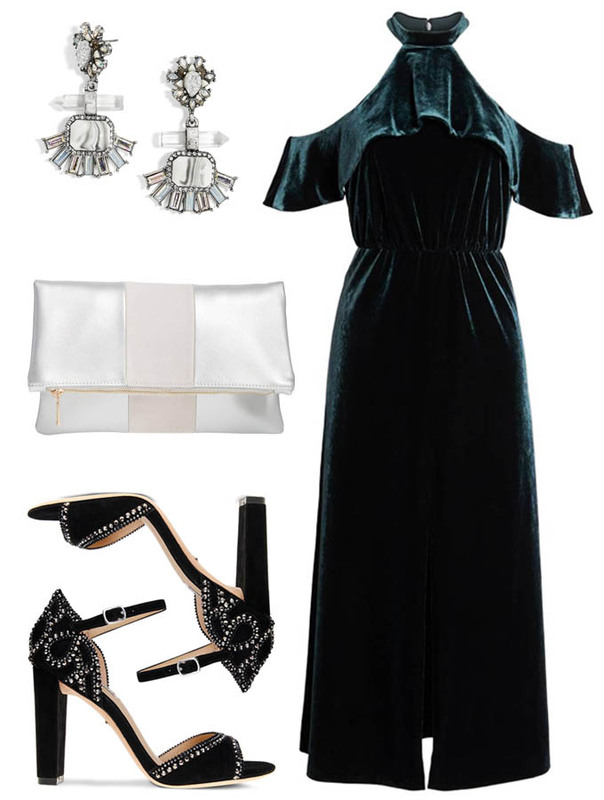 I wouldn't wear black to a wedding but a dark emerald green or a dark blue are perfect colors for a fall-ish wedding. These are all such pretty looks! I'll be attending a few winter wedding this year but my wedding was a fall wedding. I love anything velvet, and any excuse to wear it! I do love that burgundy number as well. Great dress selections! I have a fall wedding in a couple of weeks and I've been struggling on what to wear. Love these picks! Wow, I really adore all of your picks. They are absolute perfection! These are beautiful picks! These would be great for holiday parties as well! So glad you posted this! I was literally just googling what to wear to a wedding I'm going to the first week of October! That burgundy one is stunning! I would love to wear that to a wedding. I love love love your picks! I'd wear any (and all) of these to upcoming weddings! so many great pieces!!! !I love all of the dresses. Your choices are beautiful! Love the first pair of earrings. I'm on love with the velvet pieces you found! Fall weddings are the best - gorgeous locations and weather! I love all your picks here, especially the Black Velvet dress and the Red Lace dress! Those embellished heels are so pretty!! I love the wine colored lace dress outfit and the black bell sleeve dress. I'll never be able to attend a fall wedding because it's during football season. But, man I would love to wear these outfits for a fun night out! I absolutely love that blue velvet wrap dress! The color is just so rich! Look at all of this velvet and suede 😍 It makes any color look so rich and vibrant. I adore that burgundy lace dress. Such a beautiful color! I love fall weddings because my formal style tends to lean more to a fall appropriate theme. That navy velvet dress is to die for! I seriously love these all! How fun is that velvet ?? I got a few longer sleeved dresses for weddings, and I'm so grateful now because we have two in October and one in December! These are GORGEOUS. I love fall -- it's my absolute favorite season. I love the velvet and the dark green pieces, perfect for Fall and Winter weddings! I love all of these outfits -I'm really into velvet at the moment so that first dress is right up my alley! Amazing post!!! All dresses are so cool and perfect for the wedding and confusing me so much. All products are worth the buy and I am definitely going to pick form them. I have surfed plenty of website to find the right stuff for wedding. Finally I have got my dream Crystal Clutch Bag to embrace my wedding look. This is so stylish and I must suggest to try this. I went to a wedding here several years ago and fell in love. The Seattle Wedding venues are beautiful and I was so incredibly impressed and charmed with this place that when I got engaged, we didn't even shop around. It was this place or bust.